If you have played a simulation game before then you know how fun it can be to test the different possible scenarios that the game allows. 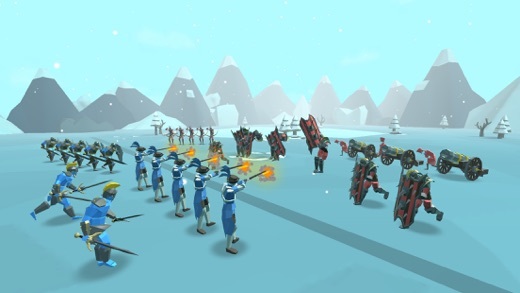 On mobile, you will find no better than the Epic Battle Simulator 2 [Free]. 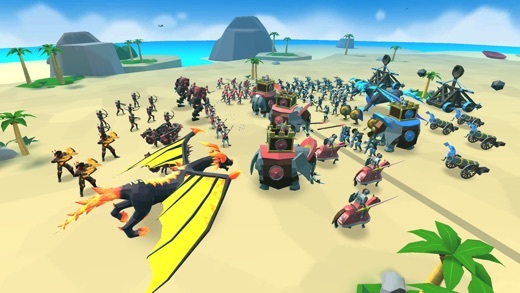 Rappid Studios have created a vibrant simulation world where you can place different combination of troops against each other and see who outlasts them all. We didn’t get to the exciting part yet, are you ready? You can also engage in real-time multiplayer and face off against online players. You both have the same amount of budget to start with and you choose your army on the battlefield, placing each in the strategic location of your choice. Once you both are ready, both armies will attack each other in unparalleled action on your mobile screen. Now that’s a fight you want to be part of. Epic Battle Simulator 2 features ragdoll and physics effects, advanced multiplayer ranking system, gorgeous graphics, advanced AI, and allows army upgrade up to three levels. The game is updated constantly and new troops are added to further test the tactical limits of competitive players. The game presents a truly epic world where you can even utilize a Fire Dragon, Spartan, Samurai, Rhino, and more! Be sure to check out Epic Battle Simulator 2 on the App Store and Google Play.